Looking for a qualified superintendent?  Executive Golf Search, Inc. is a company dedicated to the successful selection and placement of golf course superintendents. The eminent golf course designer/builder, Robert Trent Jones, has given his personal encouragement to Executive Golf Search to establish a company that will, for the first time, create a high quality systematic service exclusively for the recruiting and selection of golf course superintendents. For many years this system has been used successfully in the placement of business executives. For the most part, the selection of a golf course superintendent at a country club or golf course is delegated to a committee made up of members who do not have the contact within the industry to pursue the search and identification of the best possible candidate for a given position. Executive Golf Search will provide such a service. The two major goals are to assist in identifying the most highly qualified person for a given position and, as well, to assist golf course superintendents in improving their positions in the profession.